KOLKATTA.DEC.5: The Bengal Academy of Applied Homoeopathy [BAAH] hosted a one day seminar at 'Jeebanada Shabha Ghar' Paschimbanga Bangla Academy, Rabindra Sadan Cultural Complex. Dr. Biswajit Basu, was the key speaker, spoke on Applied Aspects of Selection of Remedy, Prof. Dr. Joystna Chaterjee, Principal, D.N.De Homoeopathic Medical College was the Chairperson. S.K. 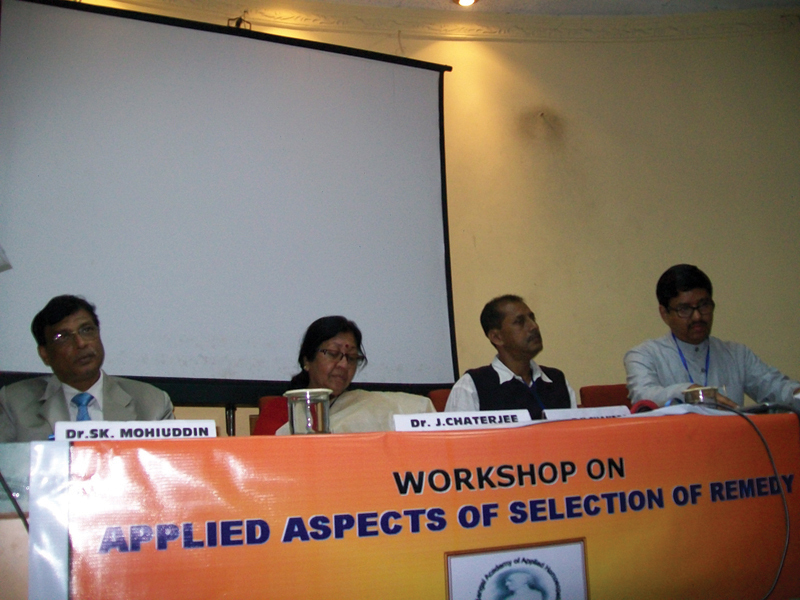 Mohiuddin, Officer in Charge, Homoeopathy, West Bengal University of Health Sciences was the Chief Guest. Dr.P.K Chandra, Asst. Director, Central Council for Research in Homoeopathy, Govt. of India, was present as the Special guest. Shipra Basu, organizing Secretary, (BAAH) proposed vote of thanks.